The previously named (and written about) Chink's Steaks, recently yielded to pressure to change its longstanding and controversial name. I must admit, when I heard, I was torn. 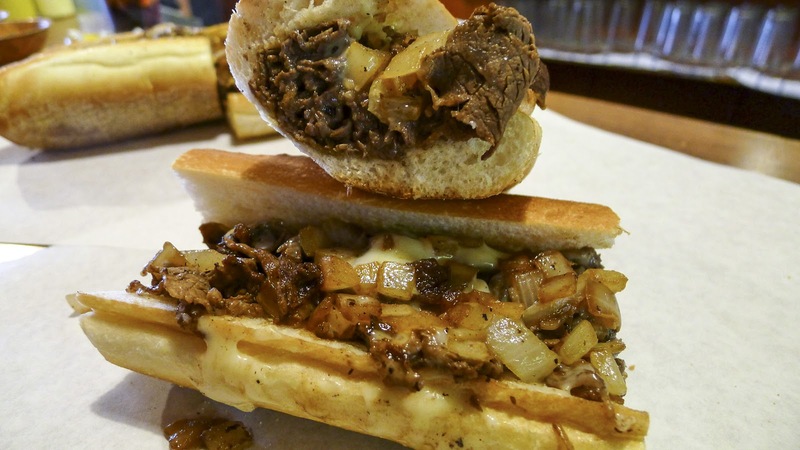 I hate to see the changing of the guard of old Philadelphia roots, but I can certainly understand the outrage over a slur as a business name, even if it was not malicious in intent. 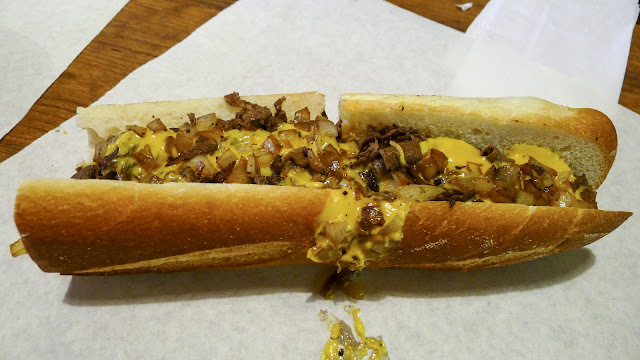 So I was extremely happy when I got an invite to check out the newly branded Joe's Steaks, particularly because of the long-standing crown of excellence in the Philly cheesesteak world. 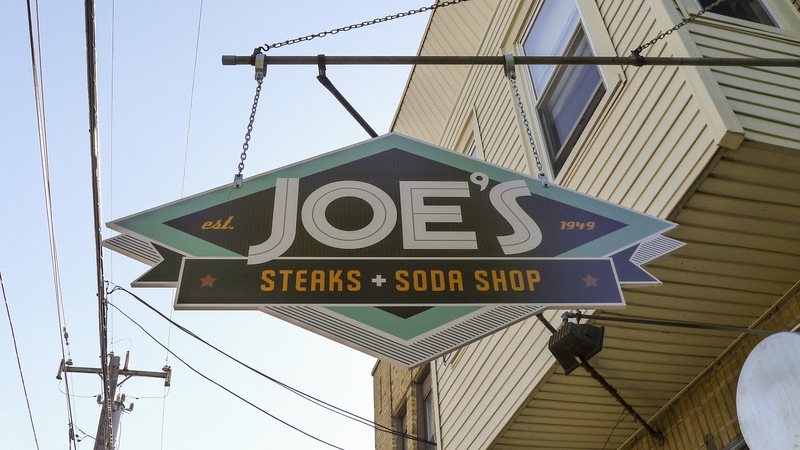 The storefront is still exactly the same, but with a couple pieces of new signage indicating it is now Joe's. 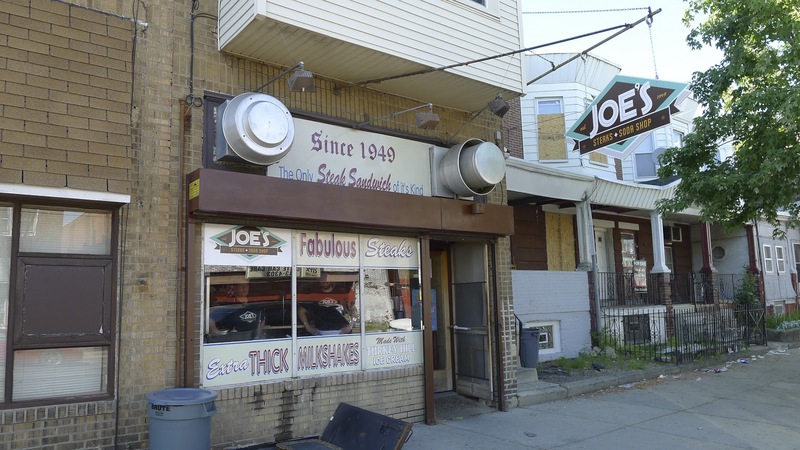 Inside, nothing has changed, and that is one of the reasons that Joe's is the best cheesesteak in the city. That's right. THE BEST. 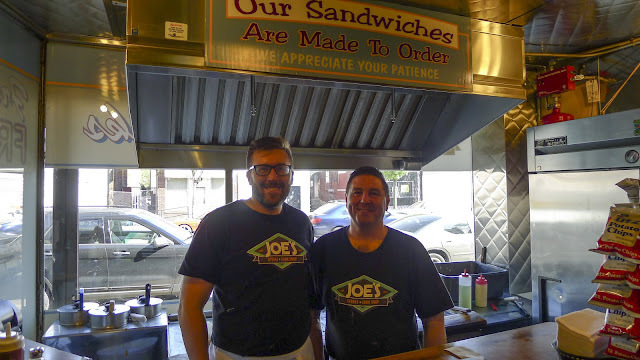 Joe and his son Patrick are always manning the grill, and the limited menu lets them put the utmost care into each carefully crafted sandwich. If it seems like Joe is right at home here, it's because he is. 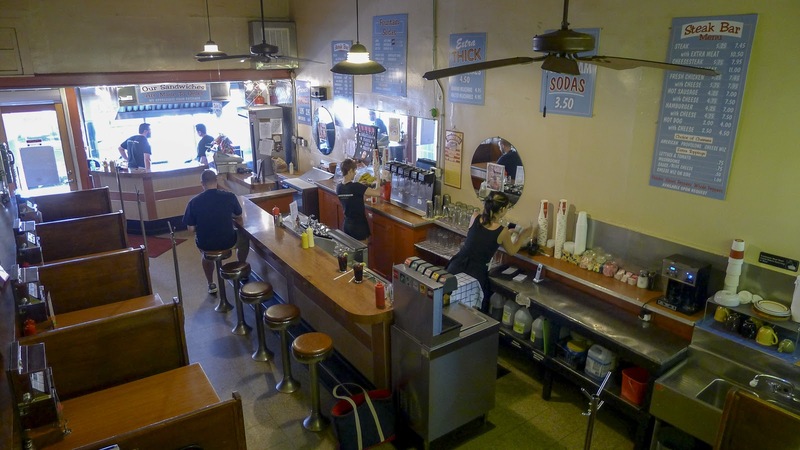 And has been, since he was sixteen and got his start washing dishes at Chink's. He has worked here ever since, and in the late 1990's he bought the shop to continue the tradition of outstanding cheesesteaks (and don't forget the egg creams and milkshakes). 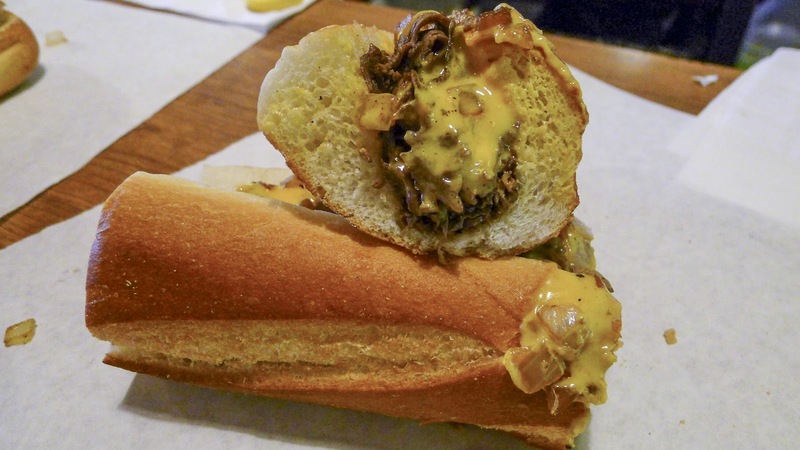 Liscio's rolls, the gold standard for cheesesteaks, are lightly warmed on the grill, while the meat is perfectly seasoned and cooked. 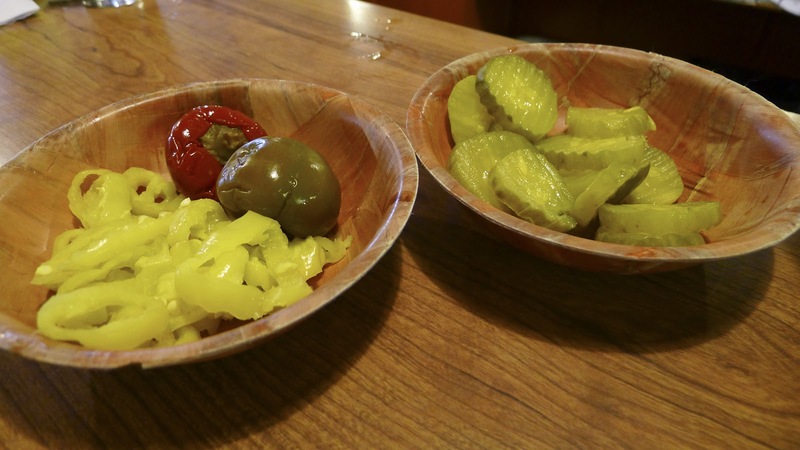 The onions come diced, browned, and sweet, just like they should. Joe's commitment to keeping tradition runs so deep that he was reluctant to even introduce provolone or whiz until a couple of years ago. 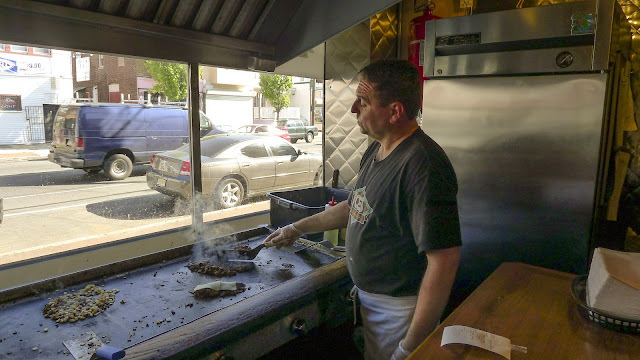 He himself is an American cheese on steaks guy. The sodas are made to order, with a hand pump of syrup added to soda water – the manual, old fashioned way. Pickles, cherry peppers, and banana peppers are complimentary (when asked for) and are a perfect way to start grazing before your main event arrives. But when it does, look out, because there are very few things I will let get between me and one of these masterpieces. 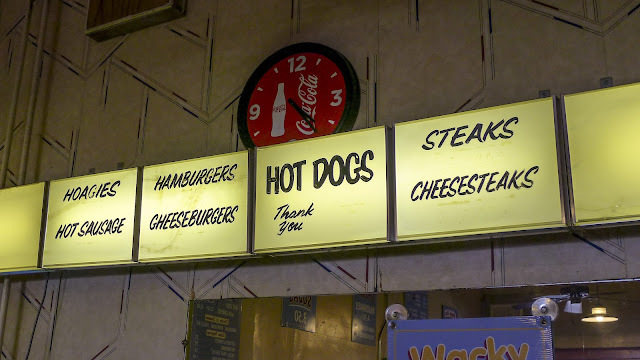 I personally LOVE the version with whiz. 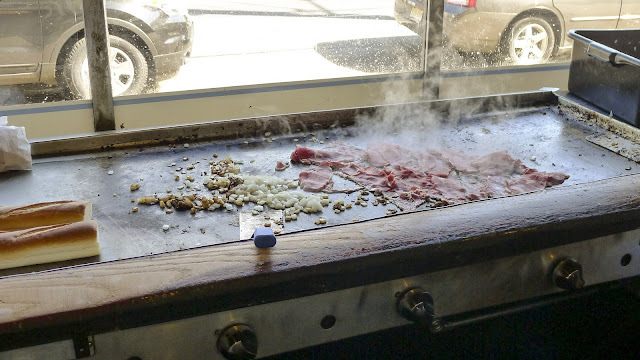 Something about the melted, salty accompaniment to tender steak and sweet onions makes me salivate with just the thought. 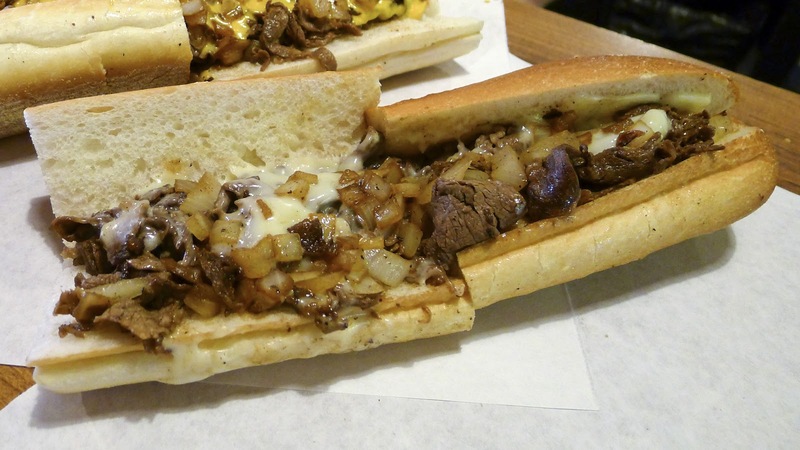 I will say it again, there is no better steak in Philadelphia. There may be some that are almost as good, or MAYBE as good, but none-better. I bring my food loving guests from out of town here, and they always leave happy (and usually buy me a steak too). There is no lack of fillings here and it makes you appreciate a place that still has some attitude, but isn't run by pompous dicks with an inferiority complex (see: Pat's, Geno's). 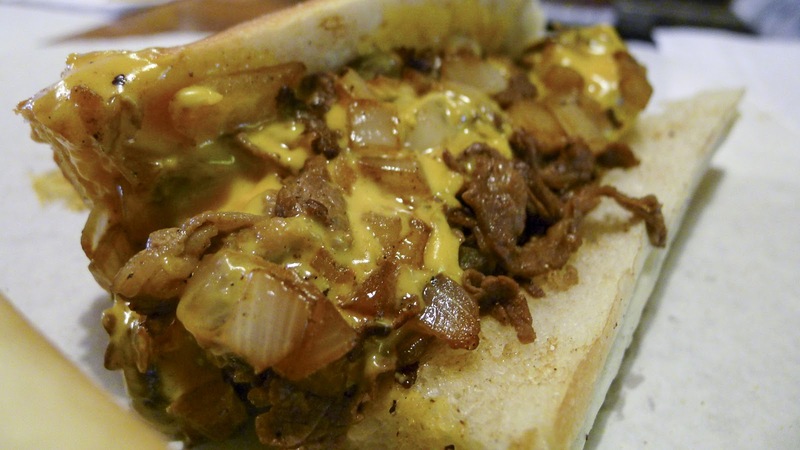 The American cheese version is another winner, and the clear choice for the whiz averse. No need to order extra cheese, there will be ample melty creamy American dispersed throughout. Although the name has changed, the product has not (and will not). If you have never been, you are doing yourself a disservice by holding out, and if the issue was political correctness, now is the time. 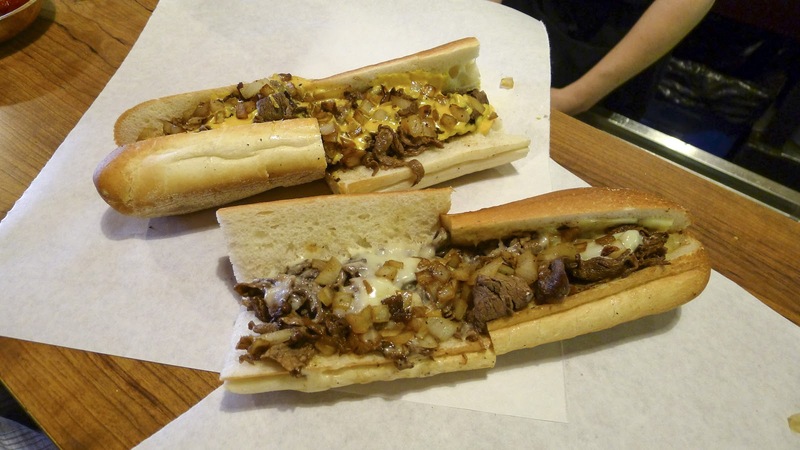 Myself, I would continue going here even if they changed the name to "Philly Phoodie is a fatso and a hack of a writer." And I would go with joy in my heart and steak in my gut. 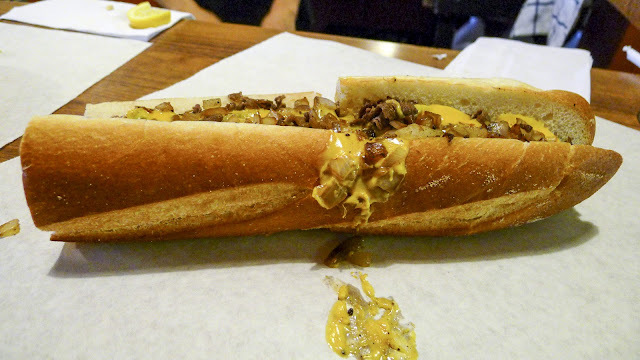 Editor's note: the cheesesteaks here do not come cut in half. There is a small and a large, both of which come out as full-length torpedoes, but for the sake of photographing the details, we requested that Joe slice these down the middle. Great profile, and I agree with you that Chink's, I mean Joe's Steaks are the very best that Philly has to offer. I'm a little confused by your comments about the soda, though. I eat at Joe's all the time, and they get their soda from a soda fountain, same as everyone else. Hand pumped, the old fashioned way? What are you smoking? Maybe you are thinking of the milkshakes which are all made with hand scooped ice cream. Still, it's a small nit to pick. Joe's is terrific, always have been, and absolutely NOTHING has changed there but the name. 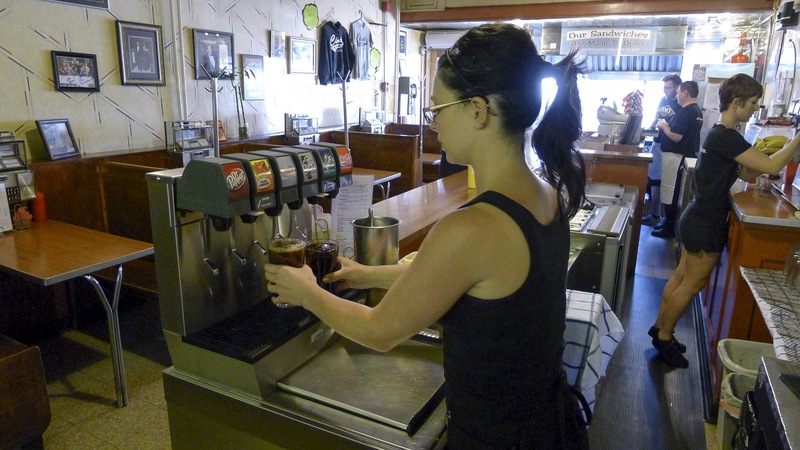 Ken, the soda fountain dispenses soda water, and the syrup is hand pumped. Check it out next time you go. Thanks for reading!